Many of the buildings and physical infrastructures in our modern society are made possible by civil engineers. Civil engineers provide a major contribution to society by supporting the design and development of essential services, and by managing and improving the built environment. By studying civil engineering, you will develop your knowledge in the planning, design, construction and management of buildings and infrastructure such as: roads, bridges, rail networks, irrigation, drainage and flood mitigation systems, airports, water and wastewater treatment plants, port and harbours, coastal defence and management systems, commercial buildings and residential houses. If you want a career creating tomorrow's cities, then this major is for you. We offer an innovative and diverse range of engineering programs relevant to a changing society by linking with the Griffith commitment to a sustainable future. If you're looking to build the future, we will provide you with the strongest foundation possible enabling you to complete projects in the safest, most economical and sustainable manner possible. Our program has been developed in accordance with the requirements of Engineers Australia, giving you access to leading engineering specialists, academics and researchers from around the globe as well as accreditation once you complete your undergraduate degree. Our programs have a strong practical focus; our industry placements provide you with the opportunity to develop work-ready skills and our teaching focuses on learning by doing. Our engineering degrees come under the Washington Accord, which means you can also get international accreditation for your studies. Engineering at Griffith has rated 5-stars for Skills Development, Educational Experience, Teaching Quality and Student Support by the Good Universities Guide 2018, a leading independent provider of high-quality education and career information. Civil engineers provide a major contribution to society by supporting the design and development of essential services, and by managing and improving the built environment. Engineers have one of the highest paid graduate jobs. 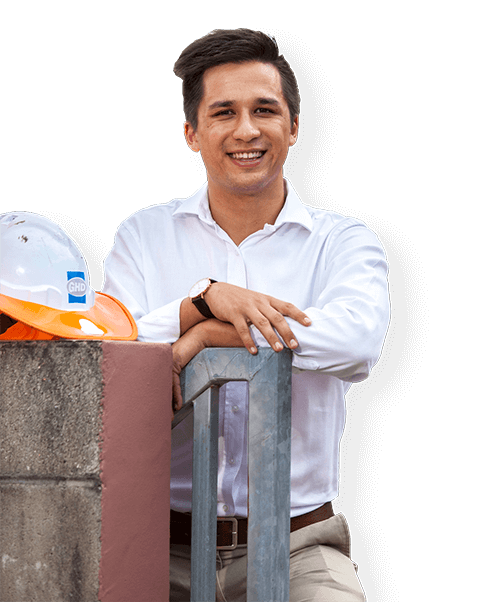 You'll find employment in jobs such as civil engineer, construction engineer, municipal engineer, structural engineer, transport engineer, water supply distribution engineer, project manager and consulting engineer. Our graduates will be at the forefront of the continual employment growth and development in South East Queensland, throughout Australia and internationally.